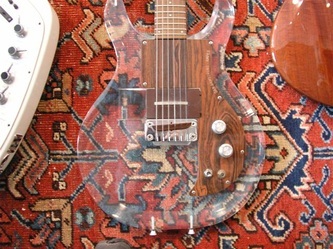 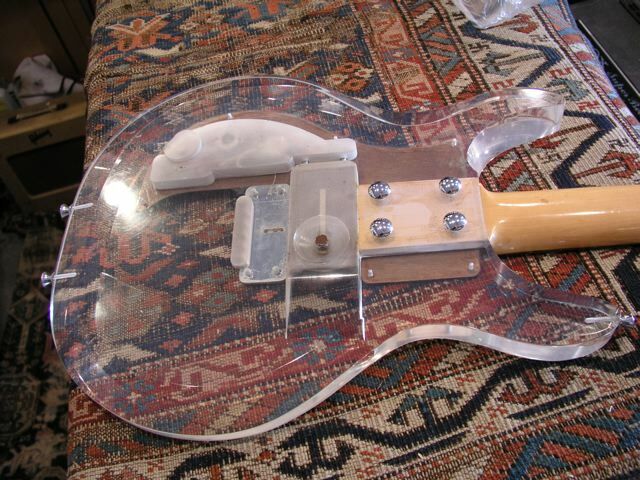 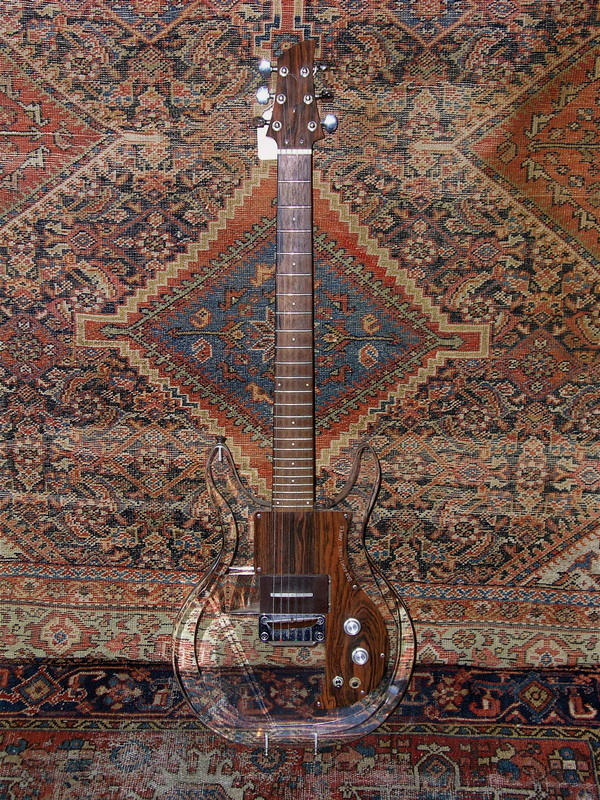 We can't remember where these pics came from, but you can never chronicle too many guitars. 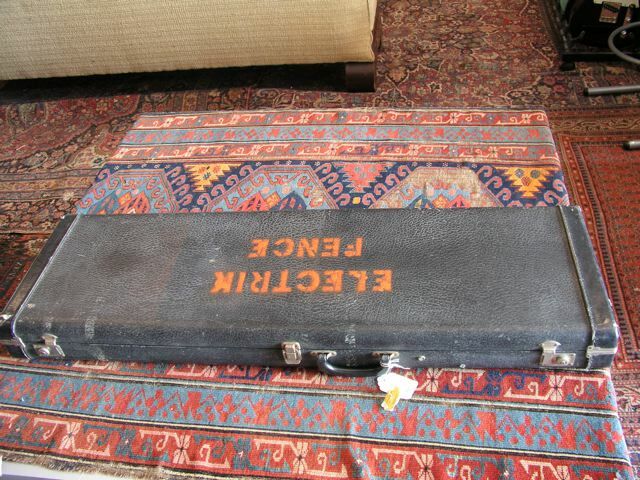 Anyway, what's notable here is the name of the band stenciled on the case - Electrik Fence. 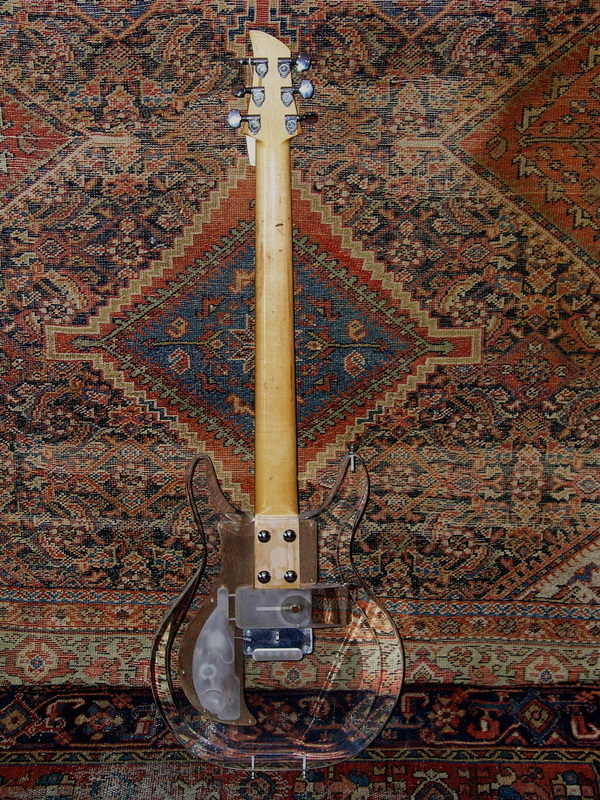 That kind of name just takes you right back to the late '60's or early '70's, and suggests a band with plenty of wattage to back up their electric image. If anyone's ever heard of this band please contact us with the back story. 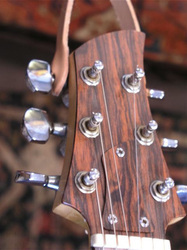 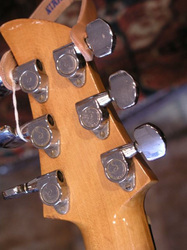 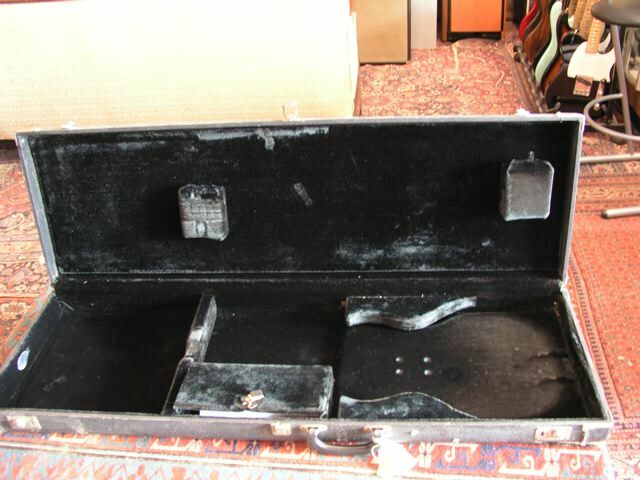 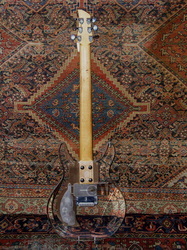 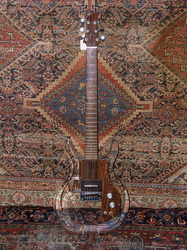 Regarding the guitar, we don't have the serial number, but the way the Schallers are mounted on the headstock (lower down) suggests an early '69 example.